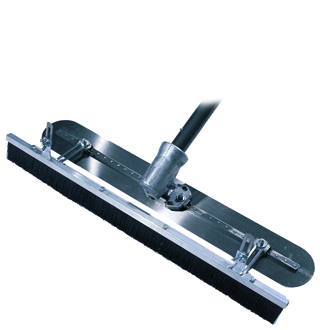 A special combination float for applying a consistent brushed non-slip finish to concrete. Leaves a tidy and consistent brushed finish. Push over concrete to improve surface consistency then pull to apply brush finish. Comes with swivel and handle.